Method of solving this CAT Question from Triangles: A clear understanding of circles, squares and equilateral triangles will help to solve. 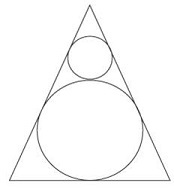 Let us say common tangent PQ touches the two circle at R, center of smaller circle is I. 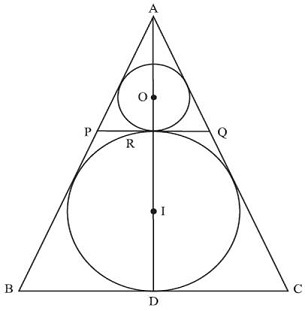 The question is " What is the ratio of the area of the smaller circle to that of the equilateral triangle?" Hence, the answer is π:27√3.